NEW YORK, August 14, 2018 – Provista Diagnostics today reported the successful completion of the 28 state Videssa Breast assay pilot commercialization program involving 147 clinicians. The company is now preparing for a wider launch that will include strategic partners with strong commercial channels, after receiving feedback from the first women to use Videssa Breast for cancer detection. NEW YORK, October 25, 2017 – A new study published in PLOS ONE demonstrates that Videssa® Breast, a multi-protein biomarker blood test for breast cancer, is unaffected by breast density and can reliably rule out breast cancer in women with both dense and non-dense breast tissue. 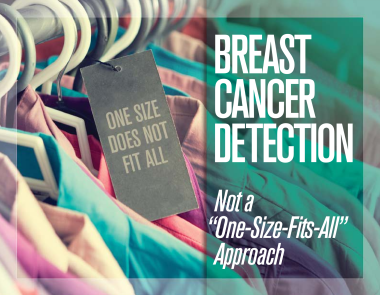 Nearly half of all women in the U.S. have dense breast tissue. NEW YORK, May 23, 2017 – A new study published in Clinical Breast Cancer demonstrates that Videssa® Breast, a multi-protein biomarker blood test to detect breast cancer, can help inform better decision-making after abnormal mammogram or other breast imaging results and potentially reduce use of biopsy by up to 67 percent. The study evaluated the performance of Videssa Breast among women under age 50. With about 1.6 million breast biopsies performed each year,1 the implications of a blood test that can help clinicians confidently rule out breast cancer and avoid a potentially unnecessary biopsy are tremendous,” said Judith K. Wolf, MD, Chief Medical Officer of Provista Diagnostics, Inc.
NEW YORK, December 13, 2016 – Provista Diagnostics has joined a new collaborative announced in response to the White House Cancer Moonshot, the Blood Profiling Atlas. The Atlas is a collaborative effort among more than 20 organizations in biotech, government and academia, working to accelerate the development of blood-based cancer diagnostic technologies. NEW YORK, December 06, 2016 – Provista Diagnostics, Inc., today announced that it will present exhibit posters at the San Antonio Breast Cancer Symposium (SABCS), taking place December 7-9, 2016 in San Antonio, Texas, related to its blood-based diagnostic test, Videssa® Breast. NEW YORK, November 15, 2016 – Provista Diagnostics Inc., will be presenting at the Canaccord Genuity Medical Technology & Diagnostics Forum in New York, as well as the Evercore ISI MedTools Conference in Boston this month. David E. Reese, PhD Provista’s president and chief executive officer will present a company update and investor overview on Thursday, November 17 at 2:20 p.m. ET at the Westin Hotel in New York City. New York – October 05, 2016 – Provista Diagnostics, Inc. is pleased to announce the election of the 2016 Board of Directors to serve for a one-year term. The members of the Company’s Board of Directors are as follows: Anne Busquet, Jeffrey R. Gilman, Robert J. Hariri, PhD, Jack Levine CPA, John Macaskill, Thomas G. Mendell, David E. Reese, PhD, Yoji Nimura and John Zicarelli PhD, FCAS, CFA. New York, NY – September 19, 2016 – Provista Diagnostics, Inc., today announces that David Reese, Ph.D., President and Chief Executive Officer, will deliver a poster presentation at the 15th Human Proteome Organization World Congress, taking place September 18-22, 2016 at the Taipei International Convention Center in Taipei, Taiwan. New York – August 10, 2016 – A first-time study published in PLOS ONE shows that a combined assessment of multiple types of protein biomarkers in the blood offers an important advancement for detecting early breast cancer. The study – conducted by Provista Diagnostics, compared the ability of Serum Protein Biomarkers (SPBs) and Tumor-Associated Autoantibodies (TAAbs), either alone or in combination, to detect breast cancer. New York, NY – July 28, 2016 – Provista Diagnostics Inc., a company developing and commercializing protein-based diagnostic, prognostic and monitoring tests for cancers affecting women, has appointed Judith K. Wolf, MD, as Chief Medical Officer. In this role, Dr. Wolf will guide the continued clinical progress of the company’s flagship product Videssa® Breast. Dr. Wolf will also assist in overseeing Provista’s diagnostics pipeline and aid in the identification of new diagnostic approaches for development.